Holmes Construction Ltd are fully qualified and hold all of the relevant CSCS certifications to leave you with a fully functional drainage installation. Based in Carlisle, Cumbria we use the latest British standard approved techniques and materials. 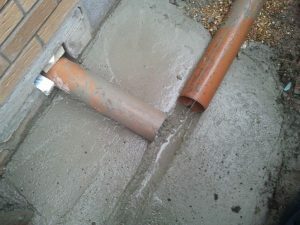 We have built up a fantastic Reputation throughout Cumbria, which is important to us as such your new drainage installation will be carried out within the agreed time and cost. Whether a new commercial drainage installation for your new build home, or small commercial install each job is treated the same and subject to the highest standards in workmanship contact Holmes Construction to discuss your Drainage system installation today.